Hello everyone. It’s been quite some time since I provided an update, and the summer is just passing us by rather quickly. Thank you all for reading, sharing, and commenting. I appreciate it. Today’s topic should spark quite a bit of conversation especially with the recent news about changes to the Pro Tour. While we know that there won’t be “just because” or “shake the format up” bans one thing we need to keep in mind is that the format needs to appeal to the viewer. It appears Wizards of the Coast is moving their coverage more towards promoting the game as a whole over one specific product. If the coverage appeals to the average person not already invested in the game then that is a potential new player, and customer. With a format like Modern highlighting powerful abilities, and interactions, is key. However with everything involved this must be done carefully. There are several cards in Modern that many (including myself) think may need to go in order to reduce “un-fun” moments which could be a net negative when aiming for new players. Without further delay let’s get to the list. 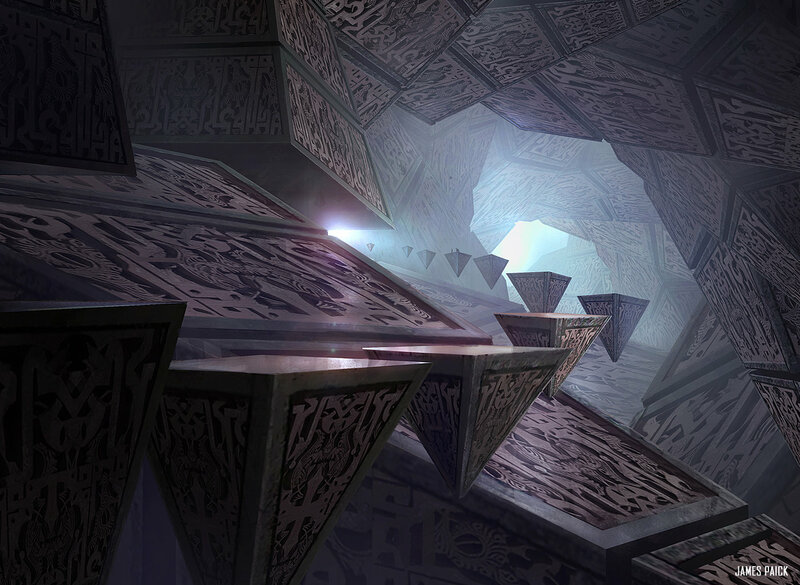 Chalice of the Void has picked up play in recent months with the emergence of Eldrazi Tron. Sure it deals with 1 mana spells such as the ones found in Burn, but coupled with cards like Thought-Knot Seer (which we will talk more about in a moment) the opponent could be locked out of the game with little effort. Yes we have artifact hate, however the more this card sees play the less other decks can function. Some of the best removal against Eldrazi Tron is at the cost of 1 mana, and being able to deploy this on turn 2 can cause the game to not develop properly. Remember, we have to think of coverage as well as the new person looking at the match. Personally I think the card is ok, but the game would be good without it. Part of the problem, and not the solution. Eldrazi Temple is my biggest offender, but others may not think so. This land has forced blue based control decks to play Spreading Seas instead of additional counterspells. This land also allows for a turn 2 Thought-Knot Seer, which when you are on the draw is quite oppressive. Having a pair of lands allow you to play a card that is 2 spells in one is quite oppressive, and the thought of doing that twice in as many turns can be problematic. The Eldrazi will be fine without this as they have pain lands, and Tron lands to play still. They could also play Wastes to counter people playing Blood Moon. We either get rid of Temple, or all of the non-Kozilek Eldrazi from Oath of the Gatewatch. I know many of you Ad Nauseum players may not be happy with this, but Simian Spirit Guide has overstayed it’s welcome. This is nothing more than Elvish Spirit Guide with a color bend to red. It helps power out turn 2 (or even turn 1) Blood Moon which prevents players from playing Magic. Imagine watching a match with someone who doesn’t understand the game, and then a turn 2 Blood Moon happens which then the opponent concedes. This card alone causes people to hate Blood Moon when the hate should be directed to the Ape. I have been against this card for a long time. Don’t let the card deceive you, because Become Immense is +6/+6 for 1 green mana. Sure Infect may not be around much as players gave up on the deck, but if we can’t have Dig Through Time then this card has to go. I don’t mind Giant Growth effects, but this is too much. Some of you longtime followers may remember that I was a guest on the Masters of Modern podcast talking about Blood Moon. I defended Blood Moon as there is enough hate for enchantments, and it is a necessary evil vs the multi-color decks as well as Tron. While I still feel that the format is fine with Blood Moon in it there are enough people who dislike the card enough to ask for it to be gone. Yo man. You lookin’ to draw some cards? Of the possible cards to get banned from Death’s Shadow decks Street Wraith is the only one that can be banned without killing the deck. This, literally, free spell allows you to play with 56 cards. While it does not allow you to look at your opponent’s hand like Gitaxian Probe does this card still does do a lot for very little cost. Opponent’s can either get low enough in life cast a Death’s Shadow they can also delve away their graveyward to cast either Tasigur, the Golden Fang, or Gurmag Angler. While those two are not overly powerful they can prove to be a problem if deployed early without an answer in hand. I don’t see this card going anywhere, but if Wizards of the Coast was to ban it the deck will still be around. You have to be kidding, right? I wish I was. People are (incorrectly) calling for the ban of these cards. For starters Mox Opal has to be built around to be any good, and there’s plenty of hate for it in the format. Thoughtseize on the other hand helps keep the format in check. Without it things would get too out of hand, and interaction (which helps keep people interested while watching) would be less. These cards are quite safe, and honestly those asking for them to be banned must simply be frustrated playing against them. The next update to the ban list happens on August 28th which is only a few weeks away. If anything was to be banned before the Modern Pro Tour next February now would be the time. It would give players nearly 6 months to adjust to the meta so we have the best tuned decks to watch on camera. I definitely sense that Wizards might move on Modern with a ban, especially after how they’ve gone after Standard. I also agree with the Chalice and Street Wraith ideas. Chalice is just not a very fun card, and Wizards did not reprint it in Modern Masters, so maybe they were leaving the door open? Street Wraith really enables Death’s Shadow decks, but does so for “free” and most “free” enablers have found the banhammer sooner rather than later.